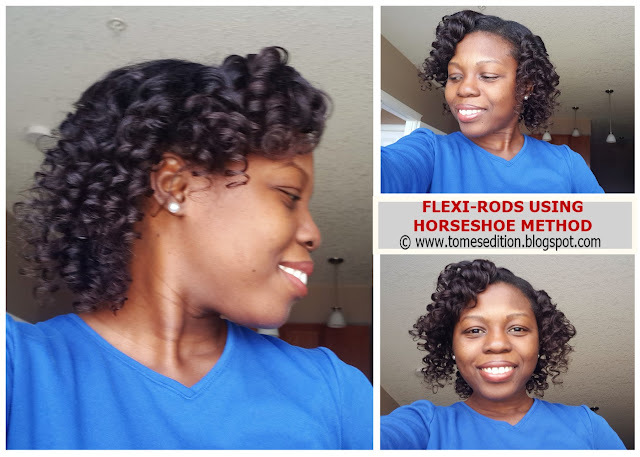 While sitting under my hooded dryer with my deep conditioner in my hair, I looked at videos on youtube on various ways to do flexi-rods set. 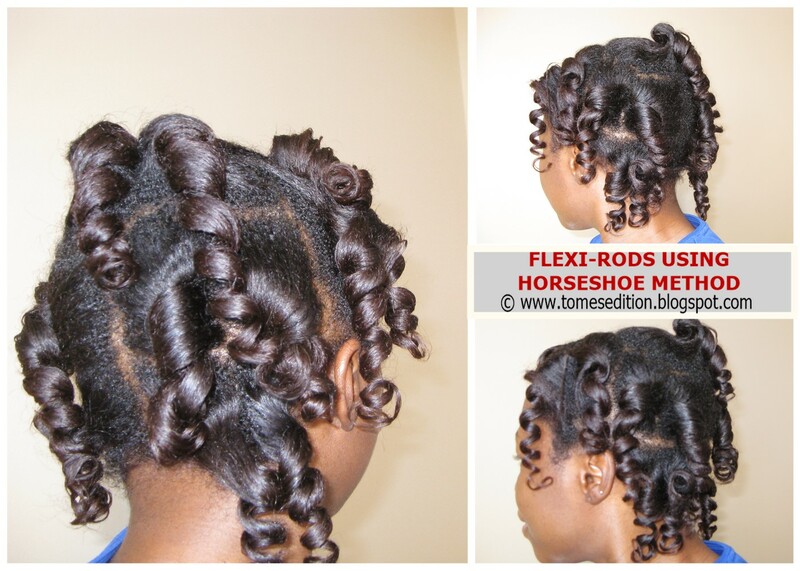 I know you’re saying but Tomes you already know how to install flexi-rods. Don’t panic, I knew I wanted to sleep in the rods and rollng them straight up, will mean my hair will take forever to dry and my ends may not dry due to the amount of times my hair will go around the rods. I stumbled on the horseshoe method which would have been perfect for what I wanted to achieve. The horseshoe method is simply placing the flexirod in a horseshoe which is an upside down U. Split your hair in two. Wrap one half of my hair from the roots to the ends on one side of the flexirod, then wrap the other half of your hair on the other side of the flexirod. 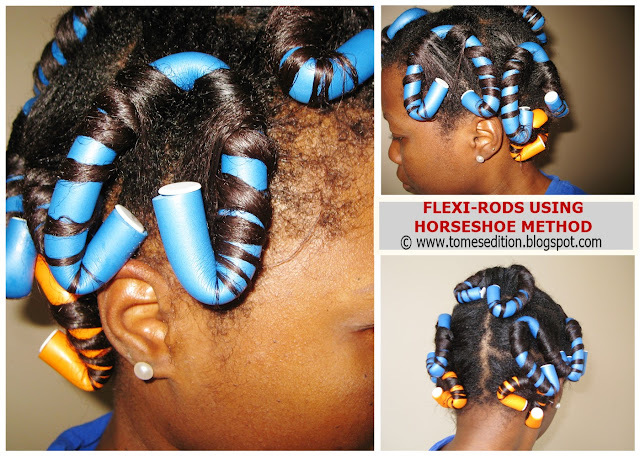 Bend the ends of the flexi rods to secure your ends. The products I used for the flexirod set was Crème of Nature Strength & shine leave in conditioner, CON Foaming Mousse and my moisturizing mix to make sure my hair was saturated with moisture. I wanted my hair to fall in the spiral motion and still able to have a good nights rest and this method definitely let me achieve the look I was going for. 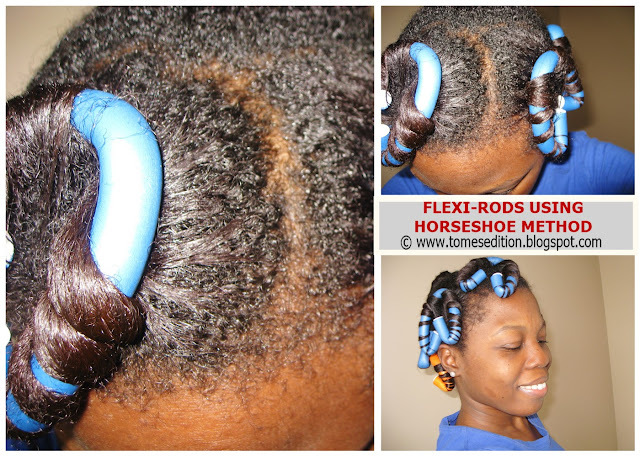 I took the flexi-rods out with coconut oil in my palms to add some shine. I was short for time for church and didnnt take the time to separate the curls properly. Ah well, I thought it came out cute but its a lot shorter than I expected. I usually prefer my curls to fall on my shoulder because it looks awkward when its chin length. Did you wash your hair recently, join us and share your wash day experience over at Savingourstrands and Justgrowalready. What’s your favorite method to achieve curly hairstyles? Ahh, it looks beautiful! I need to get on board and do this already! Yes Faith, would love to see your hair in curls. I love the curls Tomi! I had never heard of the horseshoe method. The curls look very tight, which could be the reason why they came out shorter than you expected. Thanks Becca, that's for sure. Tomes I was scared of the post heading I was looking around for literal horseshoes, lol. The curls came out perfect. I'm sorry lol, thank you. That horsemethod is a GAME CHANGER!!! Less rods + crazy fullness? SIGN ME UP!! Do you think that the curls will last longer? I think so too KLP. It lasted 4 days but could have been longer. I tucked my ends like a faux bob the other 2 days. I actually love the tight curls, Tomes! I think it is smart too. This way you don't have to use a lot of rods. Enjoy your weekend hun! 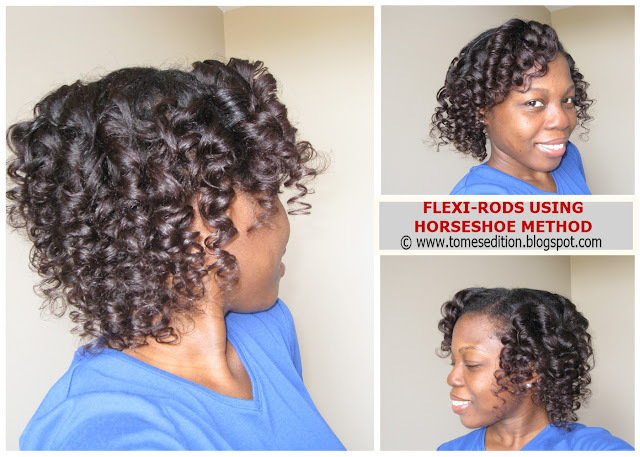 I used this method as well it really reduces the amount of flexi rods used, your curls are stunning. Looks great lady. I saw the video for this method, I have to try it! Once them curls dropped I know you got the look you was going for & the curls probably lasted longer. I tried to do this method before but I couldn't get my rollers right. I will try it again after seeing your and Ebony's hair. Gorgeous curl definition.